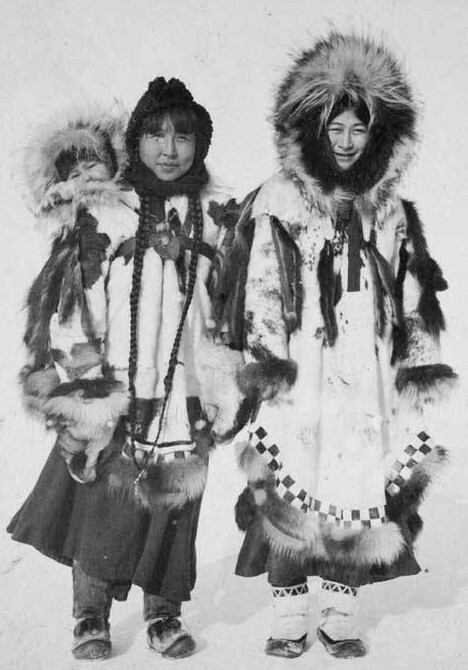 Norwadluk and Nora wear fancy parkas. Wales, c1905. Courtesy the Archives, University of Alaska Fairbanks, Gertrude Lusk Whaling Album, 1959-0875-00032.